It was midsummer and the weather was hot and humid in Mumbai and the incident dates back to the year 2004. Dilip Sahab was helping Saira Banu rearrange the books on the bookshelf in her bedroom when he happened to pick up a book written by an author who claimed to have known Dilip Kumar better than no one else did. “This is supposed to be my biography and it is full of distortions and misinformation” said Dilip Sahab to Saira. Pat came the reply from Saira “Why don’t you write the story of your life yourself?” This was something Saira always kept insisting Dilip Sahab to write down his own autobiography. The perseverance kept by both Dilip Sahab and Saira Ji spread over a decade witnessed the thespian Dilip Kumar’s autobiography titled ‘The Substance and the Shadow’ that chronicles his life since birth. The title says as one walks in life their shadow grows larger than the actual image. Similarly, Yousuf Khan the substance became bigger as Dilip Kumar as his shadow. The book has been published by Hay House India. The narration for putting Dilip Sahab’s erudite words on paper has been done meticulously by Udayatara Nayar who is known for her long association of almost half a century with Dilip Kumar and Saira Banu. While Udayatara was new in the world of Cinema Journalism she had written a long analytical article on Dilip Sahab in one of the issues of Screen. Dilip Sahab then spoke to the former editor of Screen S.S.Pillai: “Groom her, make her work hard and she will go places. She has the potential to become a biographer someday.” Little did she knew that destiny would make this happen for her in real life too and that she would be chosen for Dilip Sahab’s book. Reading the book I was impressed on learning that Dilip Sahab apart from being a prolific actor has also been a compulsive reader. 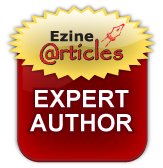 Be it novels, plays or biographies his love of classic literature has been most prominent. As the book says, “When he reads, he is like a child engrossed in his favourite game unwilling to put it away until time and again Saira Ji pleads him to rest.” He is always engrossed be it writing a script or scene that waits to be picturized the next day morning. He has the habit to underline the sentences with pencil that aroused curiosity in him and jotted down notes in green ink in the margins in his elegant handwriting. As Dr. R.C.Sharma reminiscences in this book Dilip Sahab reads voraciously on all subjects including medicine. He once also addressed a medical conference and all of them from the medical fraternity listened spellbound to his speech which was replete with information about the latest developments in the field. Nobody could tell that Dilip Kumar was an actor and that medicine was not his concentration. Dilip Sahab’s communication is just not verbal it is also reflected in his power of dressing. He believes in the practice of discipline his clothes are lined up and kept colour wise: “White is white and off-white is off-white” something he is absolutely clear off. Dilip Sahab’s adores his beautiful collection of shoes, suits and ties too. Down the years Saira Ji admits to have learnt from him Dilip Sahab the finest way of maintaining these items. She has also mastered the art of going through various steps to achieve a good polish for the exquisite Dilip Kumar footwear wrapped in covers to keep off from moisture. Dilip Kumar son of a Pathan fruit merchant had a robust earthy upbringing from parents who always used to tell him that he should be faithful to his occupation whatever the chosen craft may be and sincerely earn his wages. His hard work and commitment to the craft was never lacking. Strong sense of integrity, commitment and compassion came naturally for this nonagenarian from the Pathan genes. 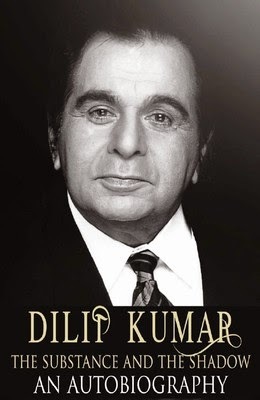 The newly released autobiography Dilip Kumar: The Substance and the Shadow by Hay House India gives the readers wealth of comprehensive information experienced by Dilip Sahab who began as a diffident novice in Hindi cinema in the early 1940s and later went on to attain the pinnacle of stardom within a short time with his spellbinding performances. A career spanning over six decades that was based on his innovative capability, determination and sheer hard work. To sum it up Dilip Kumar: Thespian, Connoisseur of Arts, Voracious Reader and Highly Gifted Multilingual Orator. I am positive readers would find reading this book enlightening.